Prayers, Dua ’s, Memorization of Sura’s and all necessary Islamic principles: This course is specially designed for children, adults and new Muslims. Every student will be taught Basic Islamic Education with Quran recitation classes, the six Kalimas, Masnoon Duas, the method of Ablution and Bath, Prayer etc, including all necessary Islamic beliefs. In this course we teach the Arabic Alphabets along with the Tajweed rules, starting from Qaida (a basic Arabic manual) which is extremely important and essential as it builds sufficient skills to enable students to read the Holy Quran with Tajweed. At OnlineQuranCourse our Teachers teach students step by step in such a manner that even a 3-year-old child will be able to apply these rules without any difficulty and will help the student achieve such a level where the student will be able to read the Quran by his/herself. Let’s experience a Week Absolutely Free Trial Today! The Arabic Alphabets Proper Pronunciation. Long Vowels "Huroof Maddah" Soft Vowels "Huroof Leen"
Short Vowels "Harakat: With thier Sounds" Consonants Letters. Tajweed literally means “to make well, make better, improve” it refers to the rules governing pronunciation during the recitation of the Quran. This Course is specially designed for those who have already learned to read Arabic, or have just completed the basic Arabic Alphabets (Qaida) course. In this course, we teach the rules of Quran recitation along with practical implementation while teaching which enables the student to recite the Quran with good pronunciation. If you don’t know the Basic Alphabets or are unable to read the Arabic letters then you should try the “Basic Alphabets (Qaida) Course” first. Tarteel means “recitation”, which in Arabic literally means “slow, measured rhythmic tones”. Tarteel is the term used to define the rules that explain the method of reciting the Quran in the way and manner revealed to our Beloved Messenger (Sallahu Alaihi Wasallam) through the means of Jibreel (Alayhis Salaam). This Course is designed for those who are acquainted with the Tajveed rules and are able to read the Quran but not fluently and experience difficulty during its recitation can avail of this course. Our teachers will train the student with the practical implementation of all the Tajweed rules in the correct method thereby enabling the student to recite the Quran with proper and fluent Tajweed effortlessly InshaALLAH. Let’s Have Your Free Trial Class Today! Memorizing the Quran simply means learning it by heart. During the time of the Prophet (Peace Be Upon Him), writing was an uncommon style of storing important matters and information; Thus memorization and oral transmission were the most effective methods of preserving information. Regarding the importance of Quran memorization: The Prophet (Sallallahu Alaihi wasallam) has informed: “Whoever recites one letter from the Book of Allah will be rewarded a good deed and ten more like it, and I do not say that Alif Laam Meem is one letter but Alif is one letter, Laam is one letter and Meem is one letter” (Tirmidhi & Al-Darimi). 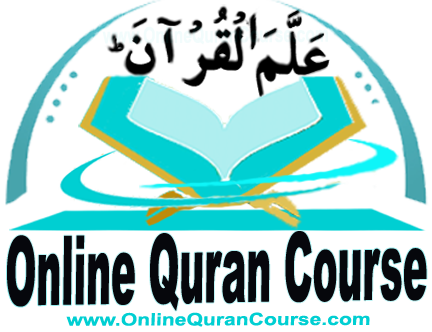 This course is designed for those who intend to memorize the Holy Quran online. Eligibility: Capable of reading the Quran with Tajweed. This course is specially designed for those who want to understand the Holy Quran and wish to take full benefit from the words of Almighty Allah. Our expert scholars will help the student to understand the meaning of the Quranic verses along with their word to word translation. Eligibility: Capable of reading the Quran with Tajweed. Tafseer of the Quran refers to the in-depth explanation of the verses of the Quran along with its intricate discussions regarding various topics. It is much more than just mere translation. This course is specially designed for those who want to learn Tafseer (in-depth explanation of the Quran) in the light of the various Quranic verses, Ahadith (prophetic sayings) of Nabi Muhammad (sallahu alaihi wasallam), as well as the reports and sayings of the Sahabah and Tabieen. Eligibility: Capable of reading the Quran with Tajweed. The word Fiqh is an Arabic term which literally means “deep understanding”; “full comprehension”, technically it means to know and understand the order and commandments (Ahkaam) of Allah and his Prophet (sallahu alaihi wasallam). Islam reminds us that our real life is the life hereafter, which is permanent, forever and unending. Our present life on this earth is short and temporary and in reality is a test period to judge who obeys the orders of Almighty Allah and his Prophet (sallahu alaihi wasallam) and who does not. Therefore it necessary to understand and obey the order and commandments of Almighty Allah and his Prophet Muhammad (sallahu alaihi wasallam).The following Ahadith of the Holy Prophet (sallahu alaihi wasallam) are adequate to understand the importance of Fiqh in Islam. Mu’awiyah (May Allah be pleased with him) reported: The Messenger of Allah has stated, “When Allah wishes good for someone, He bestows upon him “Fiqh-e-Deen”, i.e the in-depth and comprehensive understanding of Deen.” [Al-Bukhari and Muslim] in another hadith The Messenger of Allah (sallahu alaihi wasallam) has stated, “Allah makes the path to Jannah easy for such a person who treads the path in search of knowledge.” [Muslim].